I wish there is a caffeine capsules that replaces the excessive drink of coffee! I can't open my eyes in the morning, I can't concentrate really well in work, if I didn't have my morning coffee. It's been a while being addicted to coffee. this habit started with me long time ago. However, if I am in the middle of paper work or something that really need my full attention double shots of espresso would be a must! Does anyone know The picture of what looked like coffee capsules with coffee in them , on the market or what? 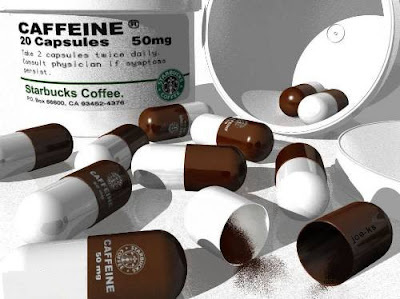 You may find Caffeine Capsules but of course it wont be Starbucks!